Our work stands out and makes an impact. Our clients are consistently provided a quality service. Quality management systems allow us to control all aspects of our service, ensuring reliable, flexible, high quality, cost efficient results. Our data centre cleaning service will leave you with a new room. We’ve cleaned rooms the size of football fields to rooms that are no bigger than broom cupboards! Everything from data centres, to server rooms and comms rooms. IT cleaning is in our blood and we’ve been doing for 25 years. There is not much we haven’t seen. Cleaning everything from high ceilings, server cabinets, deep voids, and strange flooring, we’ve done it all. Our clients range from schools & universities through-out the UK, government buildings, large offices with server rooms to data centres in general. We even cater for companies dealing with big data and cloud computing. We cover the whole of the United Kingdom. 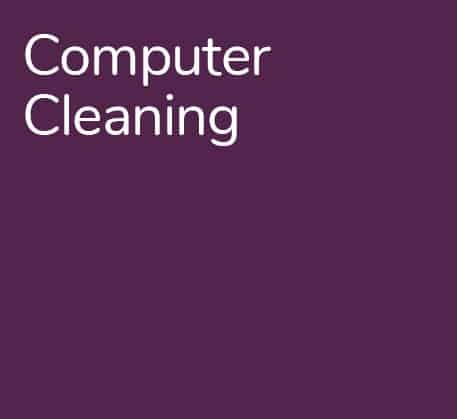 We conduct IT cleaning in all corners of the UK. England, Scotland, Wales and Northern Ireland. Our work has even taken us abroad to Ireland, France, Holland, Spain and Belgium. Our major hubs in the UK include, London, Birmingham, Manchester, Bristol, Cardiff, Leeds, Liverpool, Norwich, Glasgow & Edinburgh. Our comprehensive in-house training ensures that our staff keep up-to-date with procedures and methods that are necessary in order to provide you with the most efficient service. We work for many security conscious companies and organisations from banks to government, police to airports, schools and colleges. This means much of our staff are cleared to work in the most sensitive of areas. Our service procedure ensures all health and safety standards are met. We aim to protect both our staff and customers from harm. From risk assessments and method statements to COSHH assessed chemicals and regular equipment checks. Providing a high quality of service is important, however we are fully aware of the need to control costs. With that in mind we can assure you that we continually review our charges making sure that we remain competitive and offer real value for money. We know that you have a choice.